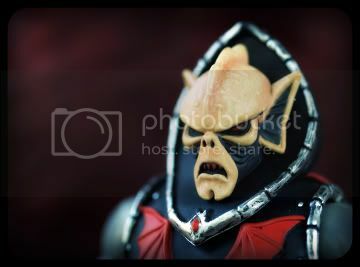 The last of my Masters of the Universe portrait shots until Webstor's release later this month. They have been a lot of fun to take, and I hope you have enjoyed them. I will continue this series as the figures are released (once a month). Also expect some action shots eventually. 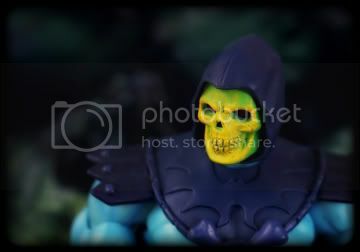 NOTE: The background in the Skeletor and Faker photos is the original Castle Grayskull from the 80's line. Youre currently reading Stratos, Skeletor & Hordak. 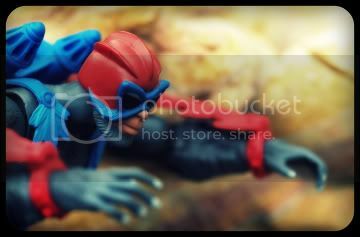 I am a freelance photographer who's subjects mainly consist of toys and miniatures. My shots range from cinematic, humorous, macabre and catalog shots. I have had numerous photos published both in print and on the Interweb. Here I plan to share photos, talk about why I have shot certain things, and from time to time hock prints. Click on Frank to head on over to my Etsy shop where I sell prints! Inanimate Life Photography on Flickr! Click on the hunchback to view over a thousand of my photos over at Flickr! All photos featured in this blog are under copyright. Please do not copy or distribute any photos without written consent from me. Thank you.